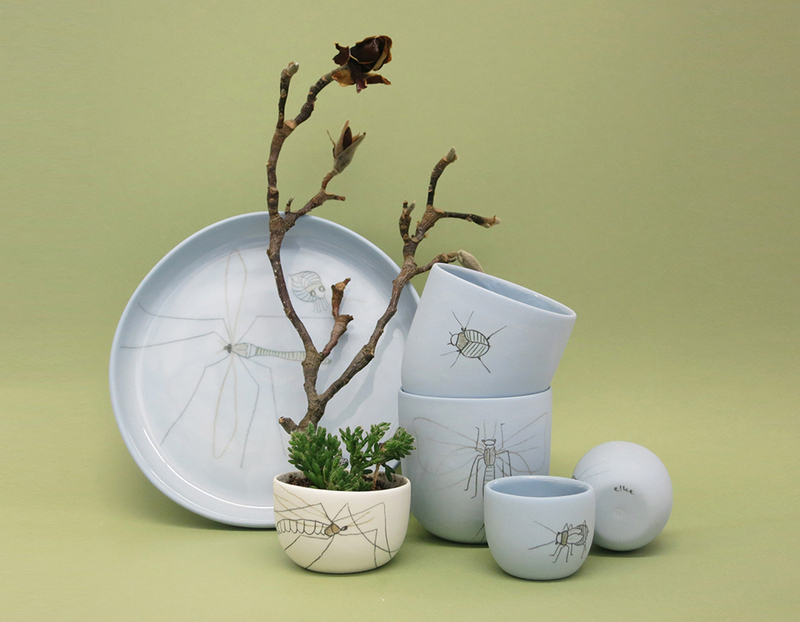 Studio Harm en Elke is a cooperation between Harm van den Nieuwenhof and Elke van den Berg. 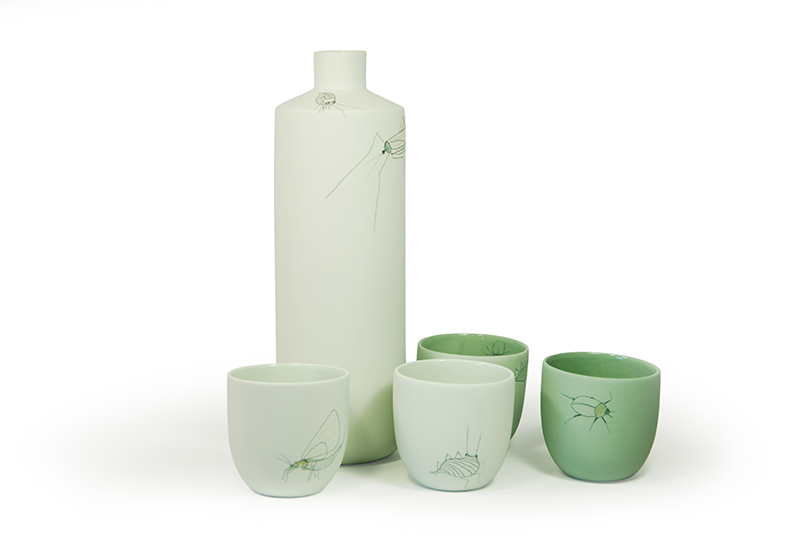 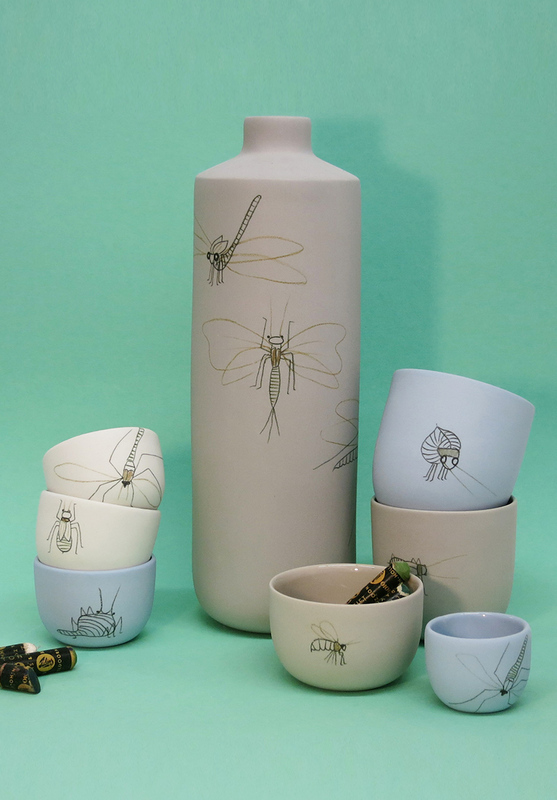 INSECTS is a collection of hand drawn insects on matt porcelain pastel colours. 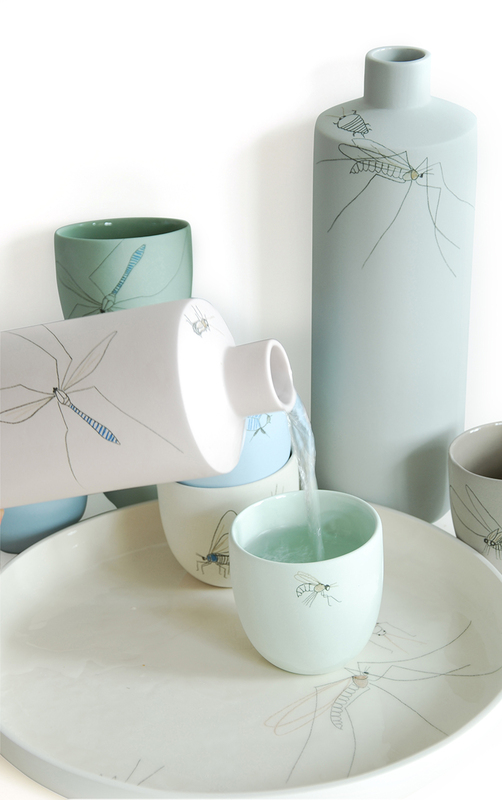 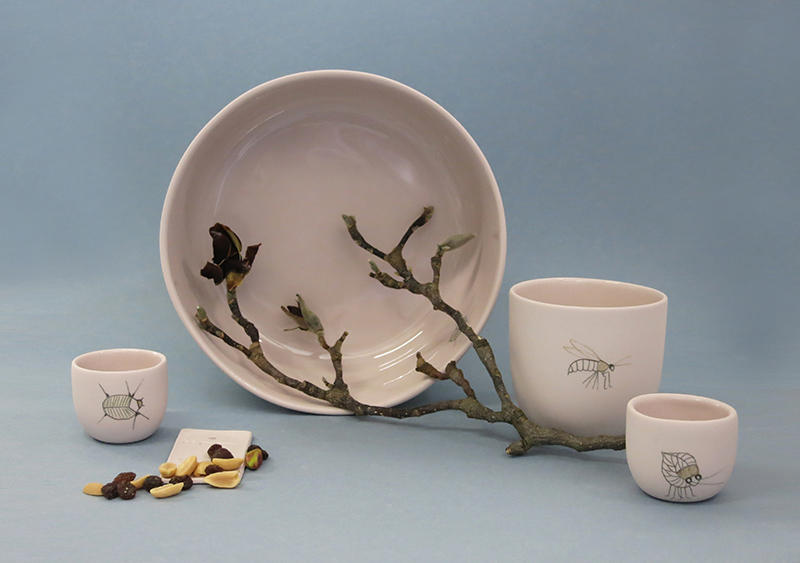 The insect set contains plates, bowls, cups, pitcher, vases and spoons. 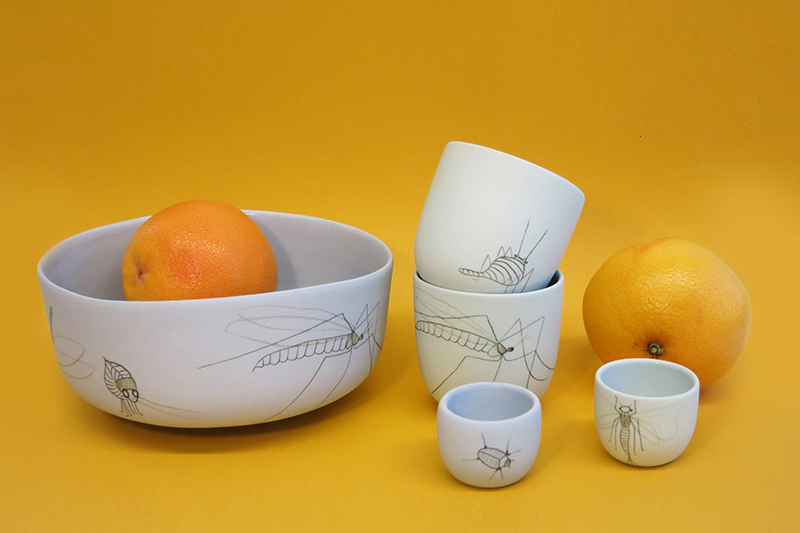 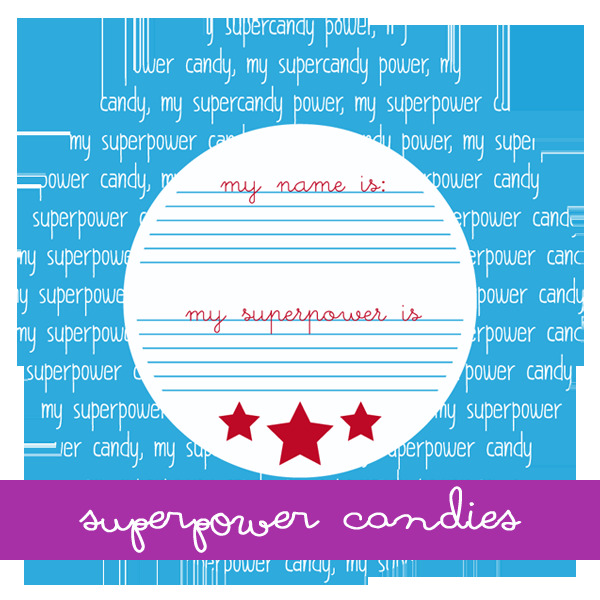 These are insects to love!